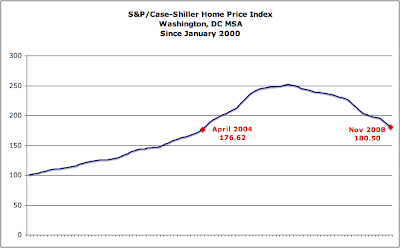 The S&P/Case-Shiller Home Price Indices report for November 2008 was released today. 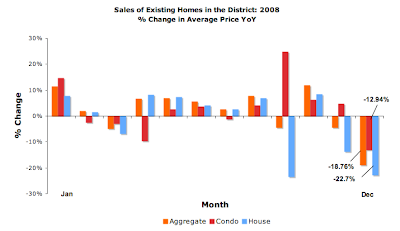 It "shows continued broad based declines in the prices of existing single family homes across the United States, with 11 of the 20 metro areas showing record rates of annual decline, and 14 reporting declines in excess of 10% versus November 2007... 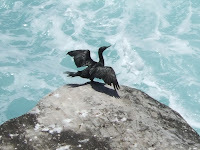 The freefall in residential real estate continued through November 2008,” says David M. Blitzer, Chairman of the Index Committee at Standard & Poor’s. " 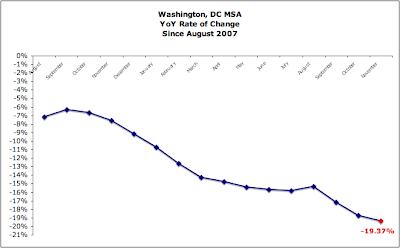 The DC area's market continues to decline; YoY, prices fell 19.37%. 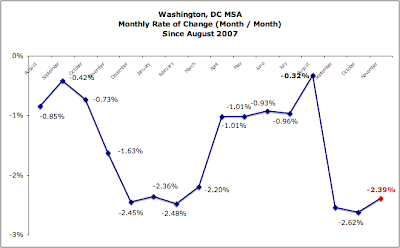 The rate of monthly decline - the acceleration - slowed in November. 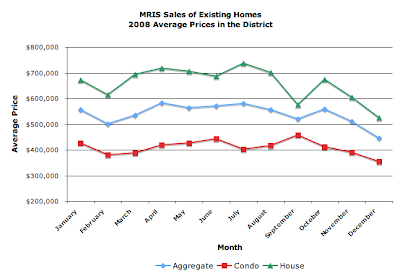 However, the DC area's home price index is now between that of April and May 2004. 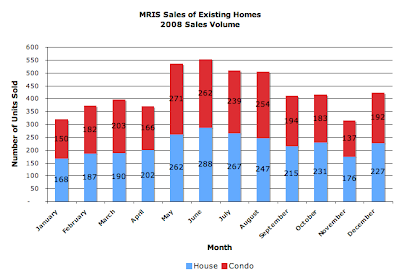 MRIS released its data for signed sales contracts for existing home and condos in the District during December 2008 last week. Not only do we know how the market "performed" that month compared to December 2007, we're now also able to see how it fared for 2008. Either way, it wasn't pretty. 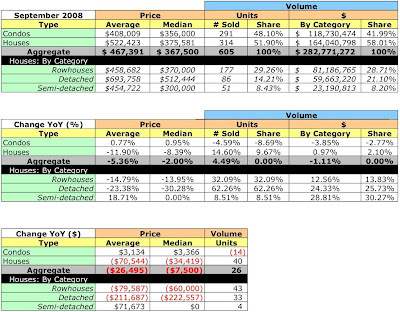 The condo market continued to drop: unit sales and dollar volume fell 14.29% and 25.38% YoY, respectively. Home sales were no better: unit sales down 8.47%, dollar volume down 29.24%. 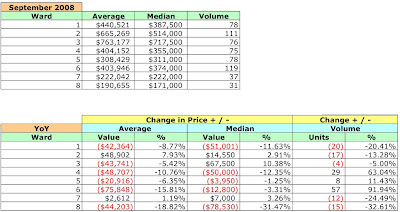 YoY, average prices for condos fell 12.94% while those for homes declined 22.7%. 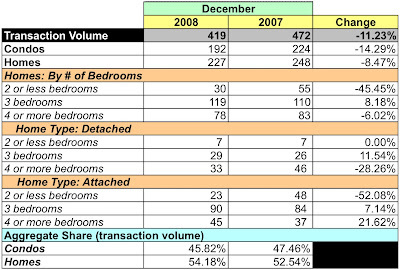 Based on December's sales volume, there is a 7.7 month inventory of condos listed and 8.44 month's supply for homes. 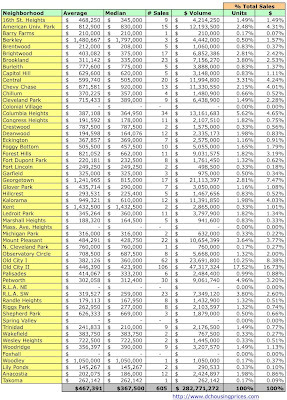 The good news is this is a 33.28% decrease for condos and a 25.54% decrease for homes from November, although the drop could simply reflect that sellers took/kept their homes off the market during the holidays. 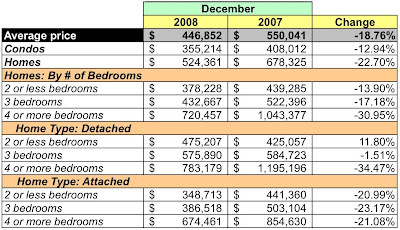 Compared to December 2007, the number of condos listed is up 10.34%, while home listings grew 24.74%. 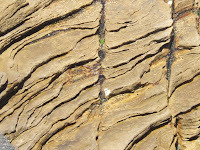 Aggregate average prices fell 19.7%. Total: dollar volume fell 25.02%, unit sales were down 26.61%. 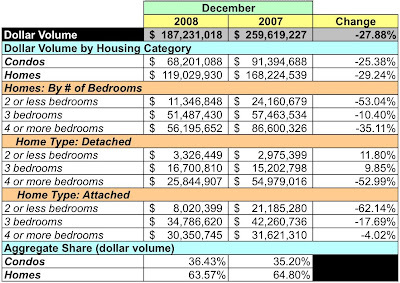 Condos: dollar volume fell 32%, unit sales fell 33.18%. 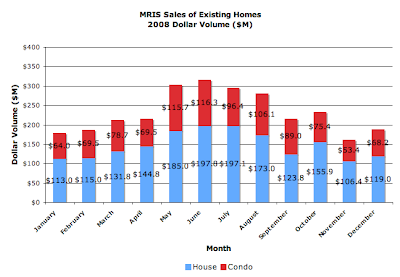 Homes: dollar volume fell 20.7%, unit sales fell 19.37%. 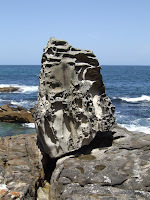 I've just finished processing all the photos [more than 800] of our trip to Australia and have posted a few [see an example on the right] to the web so now I have time to begin analyzing the District's sales for September 2008. 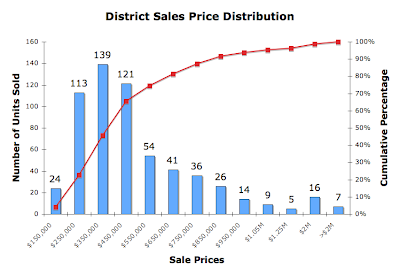 I don't plan to perform a similar analysis for July and August, but I will provide a sales listing for those two months soon. 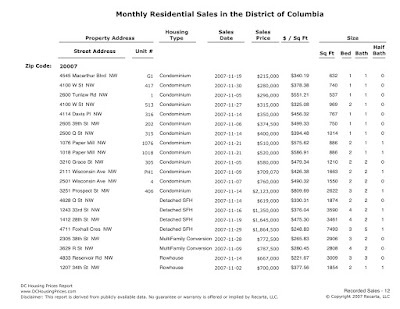 As a start, below you'll find a table listing September's sales organized by neighborhood. I use the District's assessment neighborhood names, which means you won't find Penn Quarter, Shaw, Logan Circle or NoMa in the list. 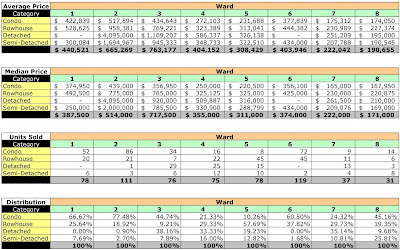 Old City I and Old City II dominate sales - 10.25% and 17.52% of all units sold and 8.38% and 16.73% of total dollar volume. Although Georgetown's sales accounted for only 2.81% of September's unit sales, that was counterbalanced by the fact it represented 7.47% of the month's dollar volume. 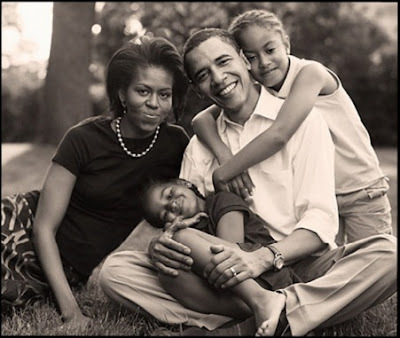 Whew! 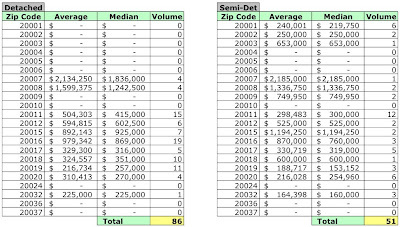 It took the last three weeks of December and the first few days of January 2009, but by God I've finally finished processing data [more than 2000 records, and those were the good ones] for sales recorded in the District during July, August, and September 2008. 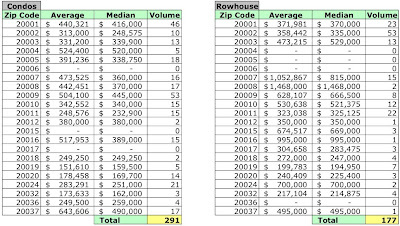 The data have been uploaded and can be viewed at DCHomePrices.com and DCCondoPrices.com. Analysis forthcoming once I've caught my breath.